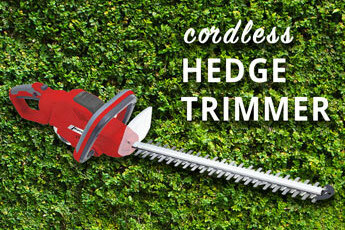 Makes Compost in as little as 14 days! 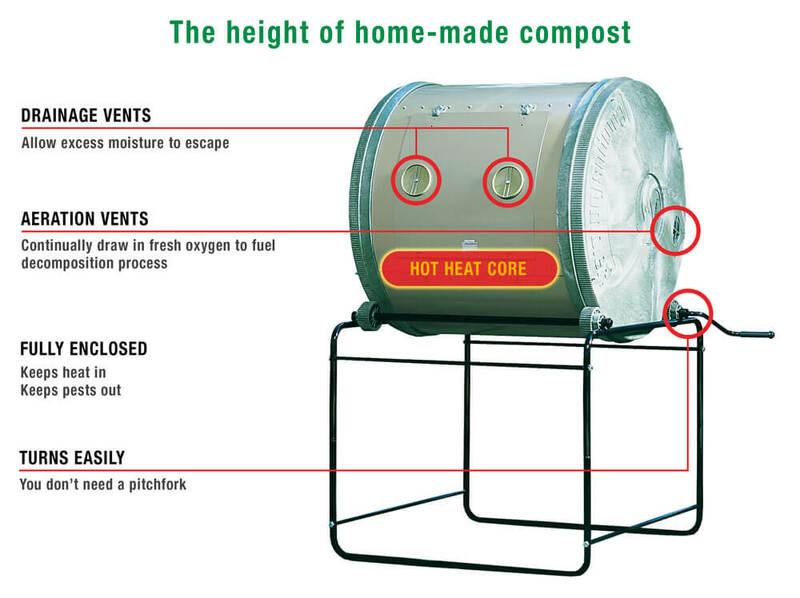 The Compact ComposTumbler was developed in the 1990’s specifically for home composting by suburban gardeners and homeowners who garden on smaller properties. 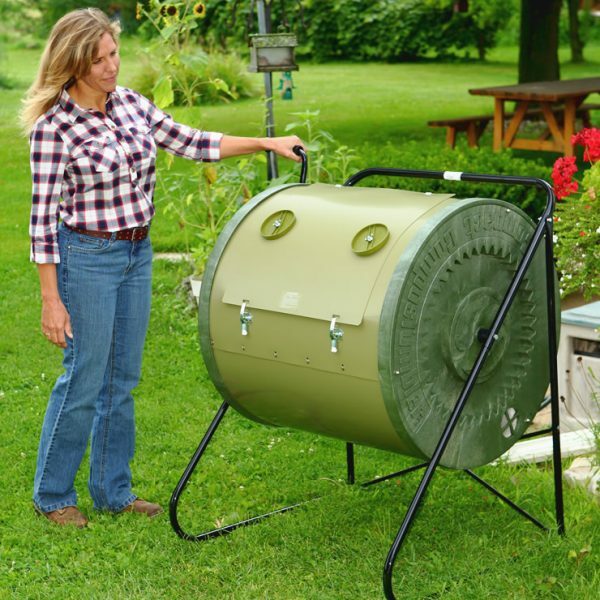 This composter has all the same quality and speed of the bigger model, with half the capacity. Please note: Compostumblers are supplied as flat pack and require self assembly. 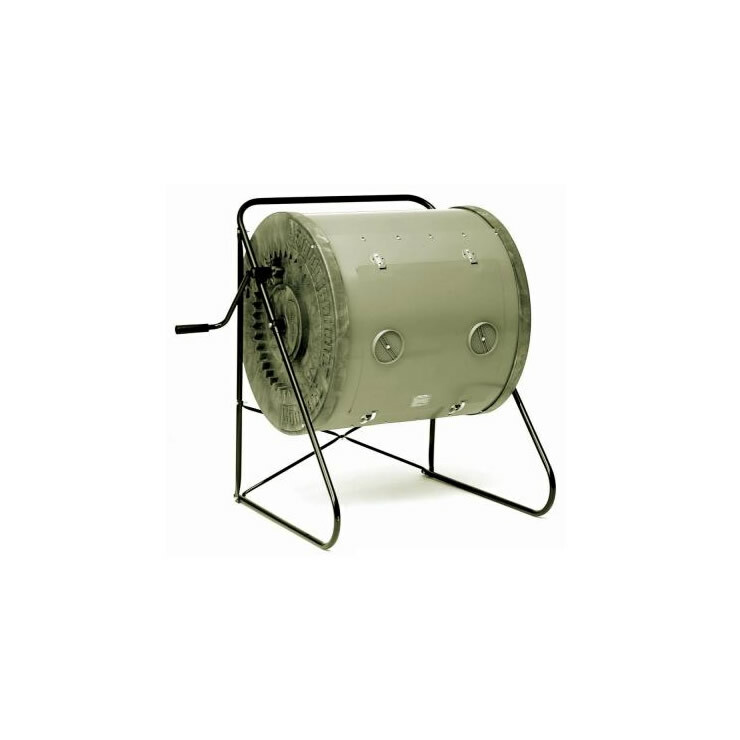 I have a Mantis Compost Tumbler which is so easy to use. 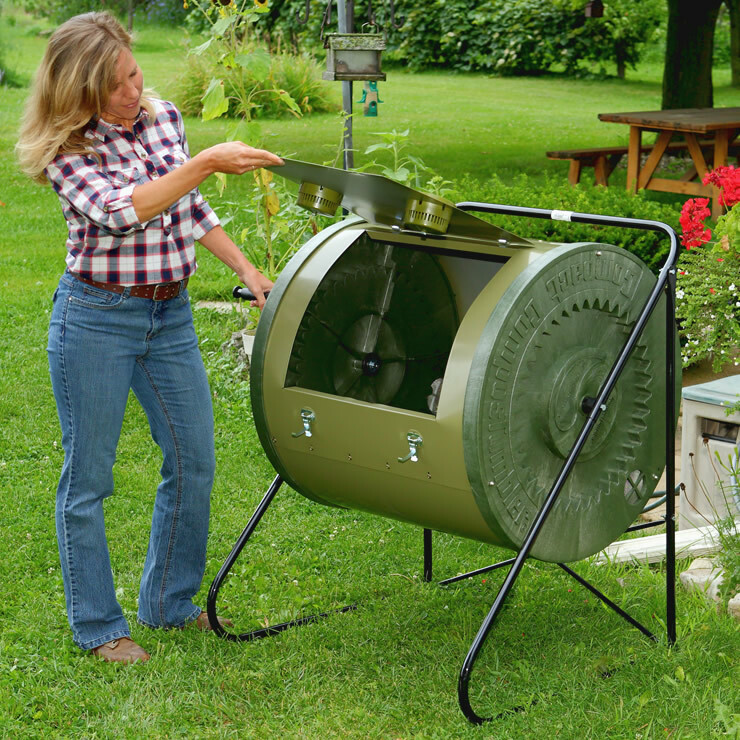 Just put the waste materials in the drum, fasten up the cover and turn the handle the recommended 5 times each day. 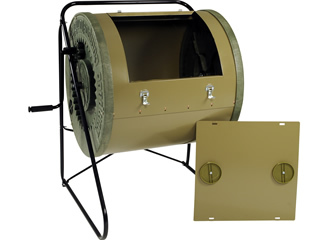 The rotation of the drum keeps the materials moving and the aeration vents mean no nasty odours. No heavy forking, no mess and good compost within a much shorter time than the standard static plastic composter I had previously. 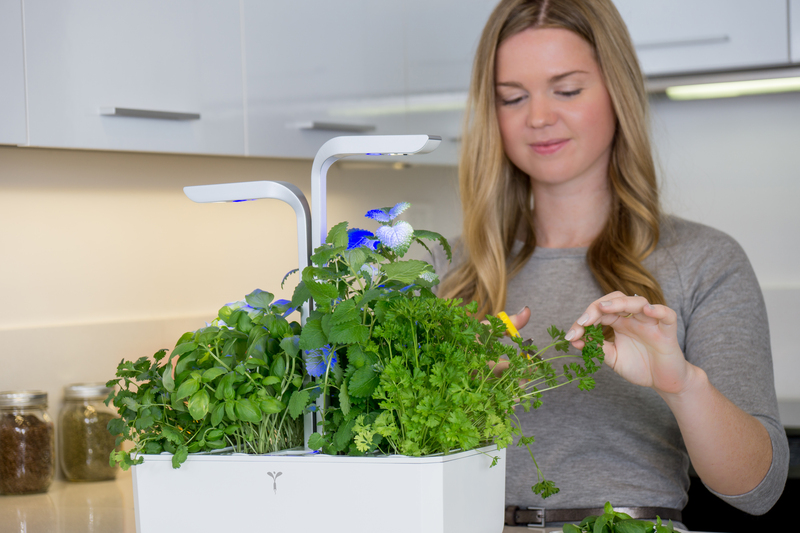 I’m very happy with this product and would recommend it to anyone." 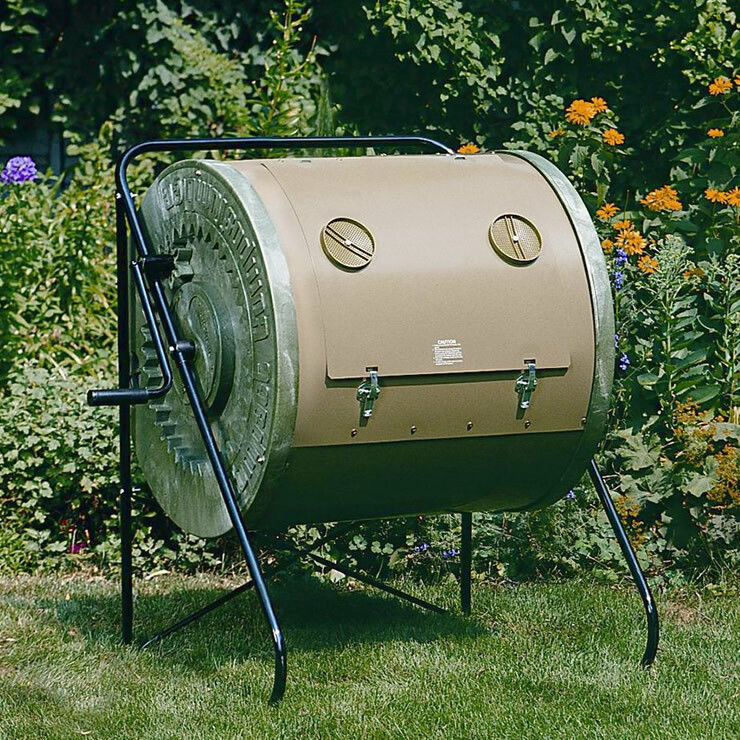 In May I purchased one of your Compost Rollers and I must say that it was the best thing I did. Already I have a batch of lovely compost ready to use. I shall be telling my family and friends about it and giving them your brochure. I will also put it on face book." 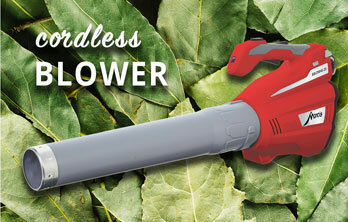 Makes Compost in as little as 14 days! 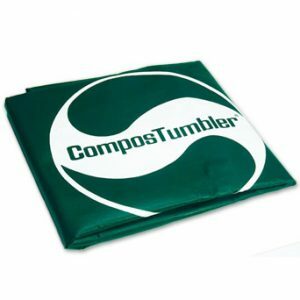 The Compact ComposTumbler was developed in the 1990’s specifically for home composting by suburban gardeners and homeowners who garden on smaller properties. This composter has all the same quality and speed of the bigger model, with half the capacity. 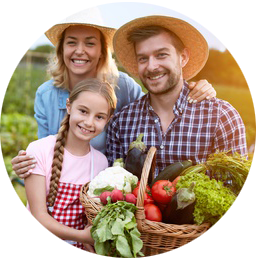 You can learn more about composting, including what you can use, how to make it and more detailed steps to making it on our How to Make Compost page! 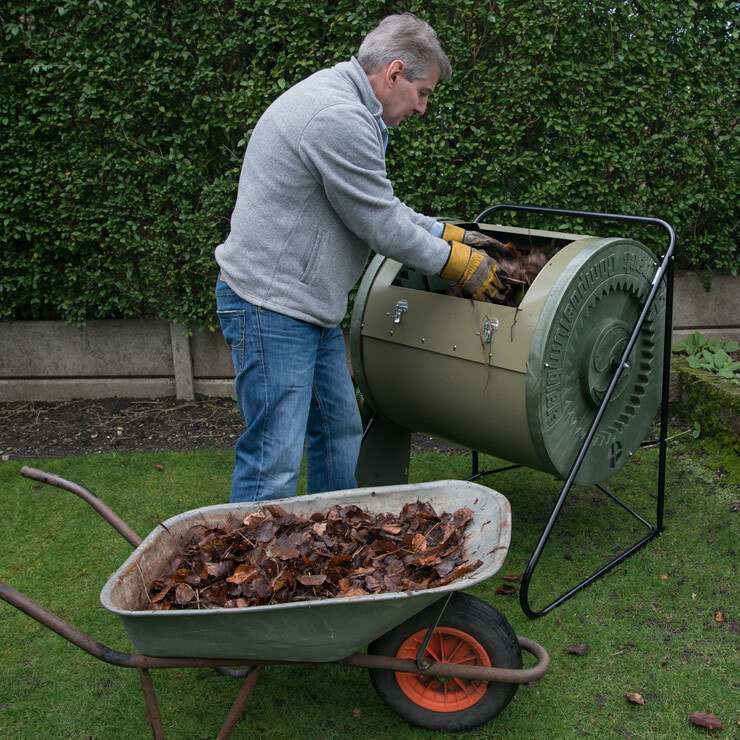 to make plenty of compost for medium size gardens. 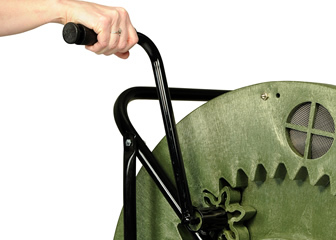 makes it easy to turn even a fully loaded drum. 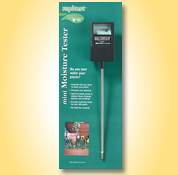 allow the proper air intake for oxygen-hungry bacteria and the release of excess moisture, without spilled compost. ensures thorough mixing as you turn the drum. Prevents material from sticking to the sides. 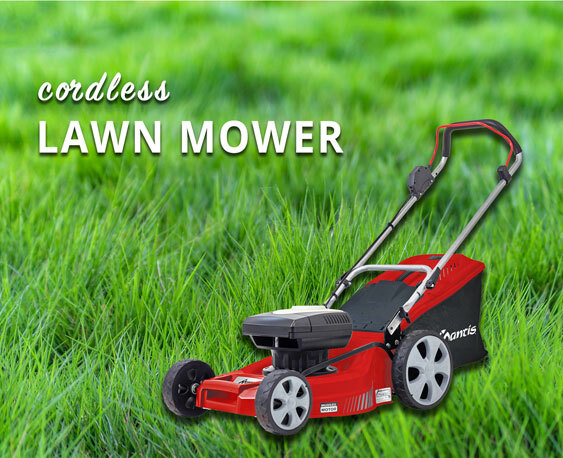 Produces faster decomposition. is rust resistant, gives long-lasting use batch after batch. 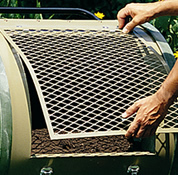 Composter is delivered in boxes and requires assembly using basic tools.